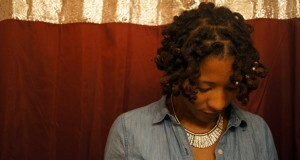 It’s been over a month since my last retwist, 6 weeks to be exact, and I attempted another style— Wrap-A-Loc Curls. 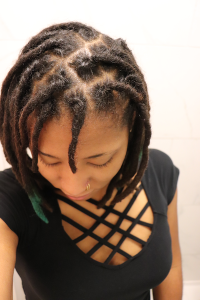 Styling my locs without retwisting is actually helping me to be more comfortable with my bushy roots; I wish I had started styling sooner. 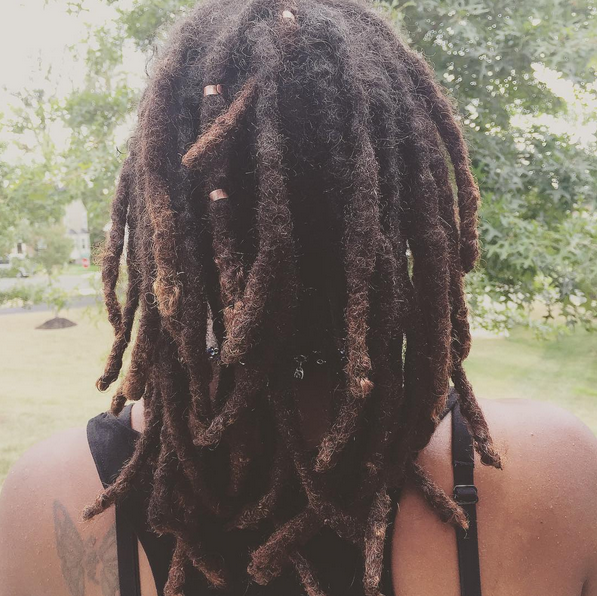 This week I used my DIY Herbal Shampoo that I formulated for Dry Hair to cleanse my locs— It has been a Godsend! 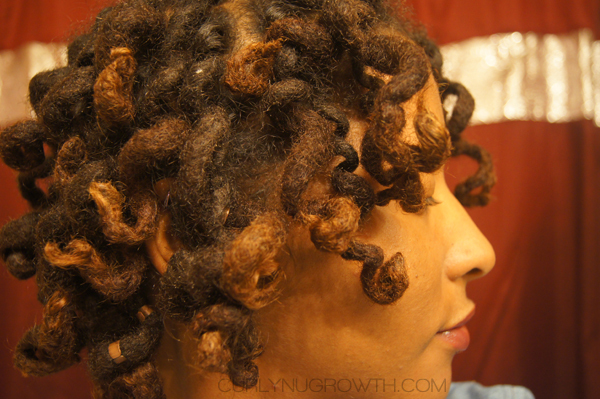 After shampooing my locs, I let them air dry and was planning to rock them straight for the week but I remembered the Wrap-A-Loc rollers I bought from the Ubiquitous Hair Show. 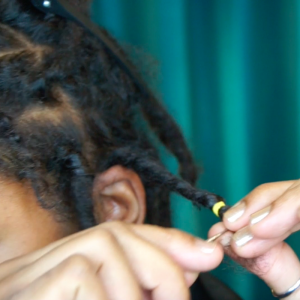 The curls are so bouncy and you can see them in action and a more detailed look at my nu growth this week, in my week 6 update in the “Styling Locs Without Retwisting” video. 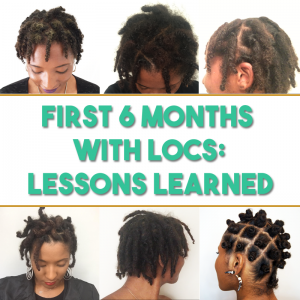 My biggest lessons learned this week are that styling locs without retwisting actually creates beautiful “lived in” curls that make you forget that you haven’t done your hair in weeks, and that incorporating all natural DIY mixtures into my regimen is a MUST! 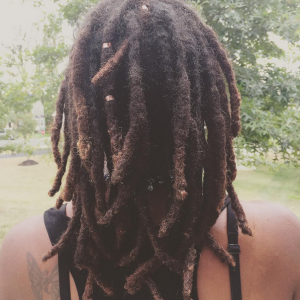 Have you tried any styles on your locs without them being retwisted? How did you like the results?